LOS ANGELES – The Los Angeles County Board of Supervisors offered a $10,000 reward Tuesday for information leading to the arrest and conviction of the suspected driver in a fatal hit-and-run in Lancaster. 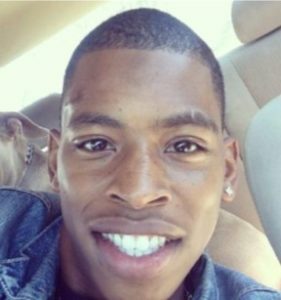 Supervisor Kathryn Barger recommended the reward for information leading to the motorist who struck 21-year-old Rodney Tyrone Richard on Lancaster Boulevard near Elm Street about 2 a.m. on Aug. 4. Richard was crossing the eastbound lane of Lancaster Boulevard from parking spaces located in the center median when he stopped and faced oncoming traffic before turning again and trying to run out of the roadway. He was hit by a full-size white GMC or Chevrolet truck with chrome side steps that was traveling east on Lancaster Boulevard at speeds in excess of the posted 15 mph speed limit. The truck stopped before speeding away from the scene towards Sierra Highway, sheriff’s officials. Richard was transported to a hospital where he died of his injuries. Anyone with more information on this case is encouraged to call sheriff’s Detective Ryan Bodily at 661-940-3811. Anonymous tips can be submitted through Crime Stoppers by calling (800) 222-TIPS. 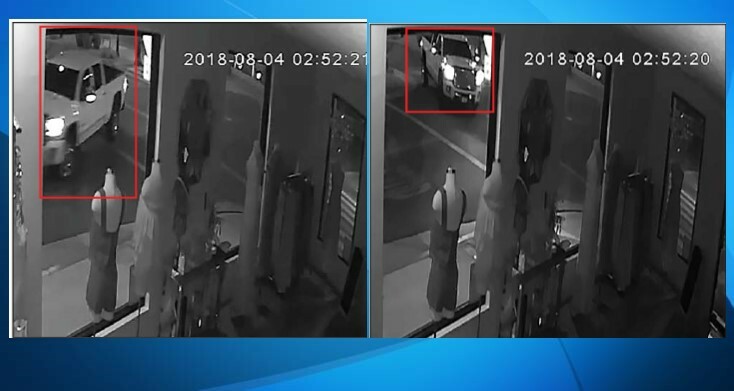 17 comments for "$10K reward offered in Lancaster hit-and-run death"
I wish I can pull the camera feeds from surrounding stores to show which way truck went and maybe even get a hit on the license plate to track the person down ..Just a Common thought..
Hey even check the cameras on the intersection lights..
Those aren’t stored. They provide a control feed to the traffic light in real time, but There are thousands of those cameras running 24/7. If you tried to store that much video you’d need a server farm the size of a WalMart every couple days. As to feeds from surrounding stores, I’d be surprised if the cops didn’t pull them, and I suspect the couple of stills we’ve seen are the closest they got. Store cameras are generally low frame rate (so you see a walking person sort of jerking along) and a moving vehicle could whip right by between frames. Maybe you get a lucky break of timing and a frame shoots at the right moment, but more likely you don’t. Plus, store cameras aren’t generally placed to get street coverage. They are getting identifiable captures of customers who might turn out to be thieves or cash registers being popped open at odd moments and raided by employees, not passing traffic. when i watch the video it sure looks to me like he ran in front of that truck. a split second decision to run to the other side of the street. obviously the driver shouldn’t have left the scene but aside from probably speeding which contributed to the accident i don’t think only the driver is at fault. I thought the suspect that hit him, was the guy that ran into a building across from winco, and ended up being the guy that was found dead in WinCos pillard about a few weeks ago when this happened. No, that was just destructive gossip. Absolutely not true! ItsJustMe, the police knows you did it because you want blame someone else. They have your IP. I heard the same the cops chased the truck and a suspect ran from the truck and into WinCo and supposedly they lost him after he ran up the stairs…The vehicle matching the description of the truck was in front of WinCo… There’s cameras so why don’t they check them? Possibly because it probably will show something fishy which would put the police Dept under investigation..No Doubt It.. I heard that you’re an irresponsible dingbat, but I don’t just assume that whatever crazy thing I hear is probably true. The new Lancaster Blvd is an accident waiting to happen. The city did no one a favor by designing it as it is. I wouldn’t be surprised to see many more accidents on this street. That truck came from a main street. They can’t go around and ask near by businesses if they have footage. Do your jobs Cops. That’s part of their job. Yes they can go around and ask business’s. Businesses use cameras for their businesses not to record who is passing by on the streets . Maybe if he wasn’t out drunk at 2-3 am causing trouble would of been a better choice. Did he go to Littlerock High School by chance? He looks like a student I knew when I worked there.